Food has always been tasted equally through eyes and your tongue! What looks good to the eye will automatically appeal to your other senses. 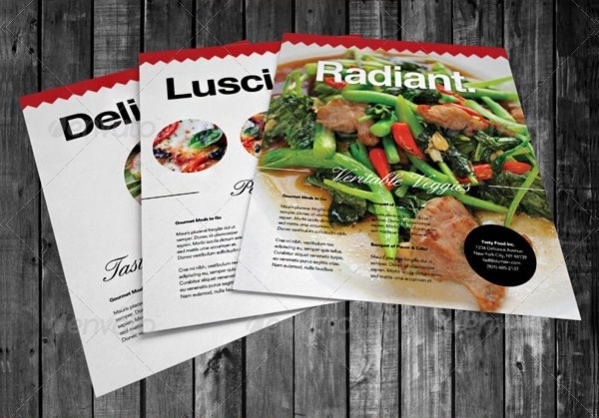 The same is applicable when you are running an advertising campaign for your restaurant or commercial kitchen. 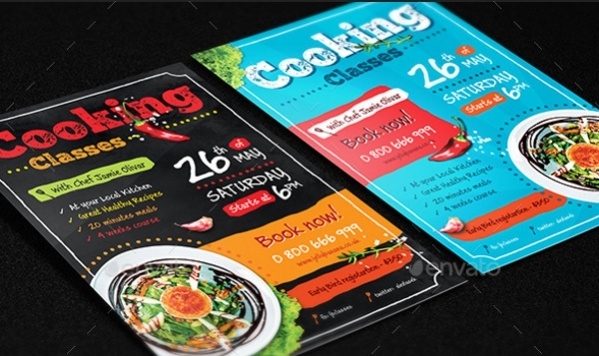 Customers will prefer addresses that have been able to visually captivate them in a delicious looking menu and food. 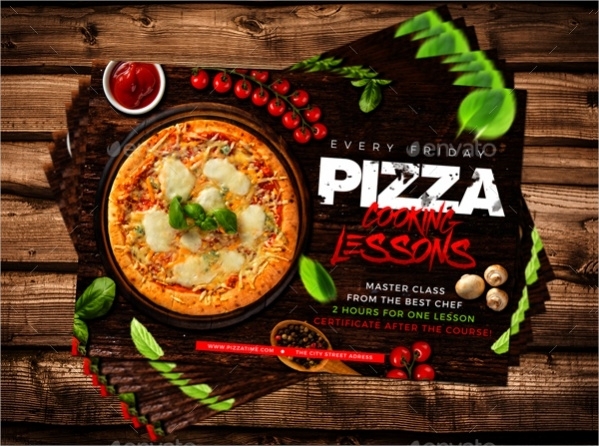 Here come the importance of food photography and food graphic designing. 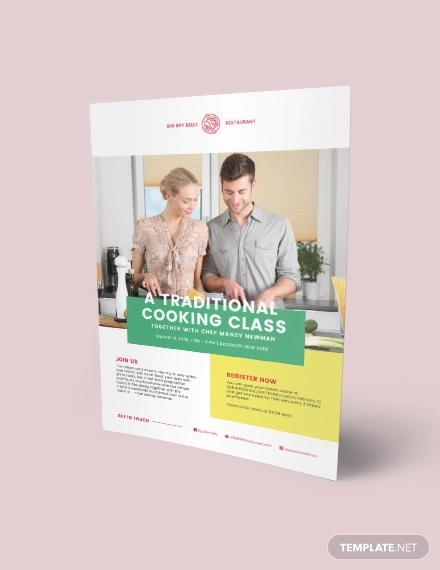 Well, we have some amazing cooking Flyer Design that will help you completely reinvent your advertising campaign and bring in more customers! Good food should also look delicious. If you are opening up a cooking class, you can interest the potential participants in learning how to make delicious looking food! Use this banner for maximum curiosity.You may also see Catering Flyers. Are you hosting a cooking demo? Well, in that case, we have the perfect advertising material for you. 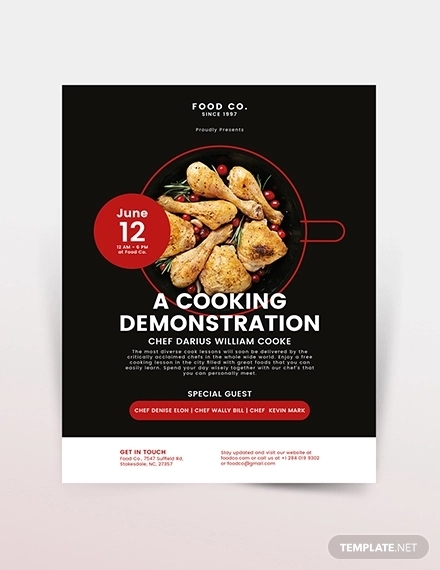 This cooking demo flyer will bring in the maximum footfall and make people take interest in what is going on!You may also see Cookout Flyers. Realistic food pictures can make your really hungry! This has been the marketing mantra of most successful food chains. Well, we have something similar for you. 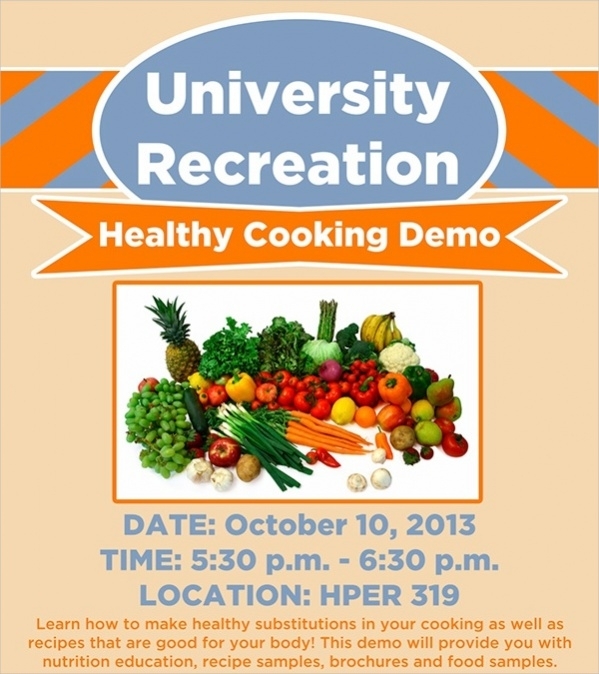 Check out this realistic cooking flyer. 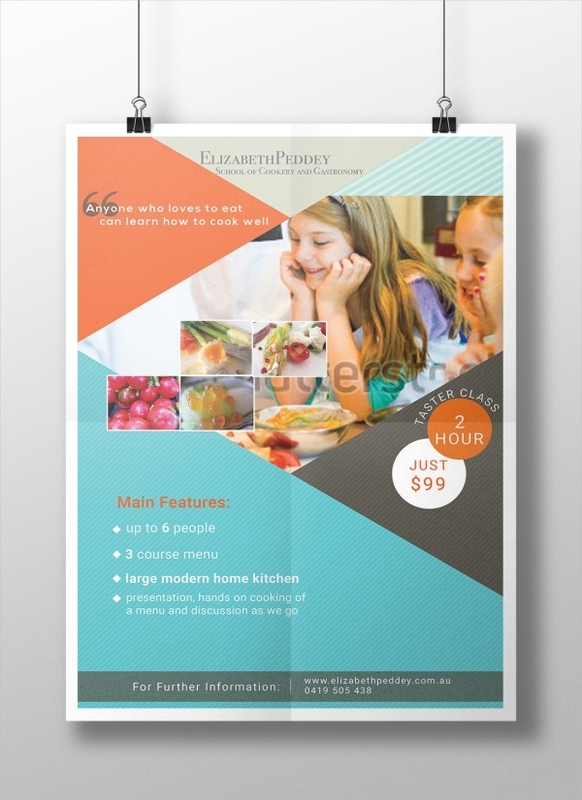 Looking for a great way to capture the attention of a passerby and indulge them in some great food? 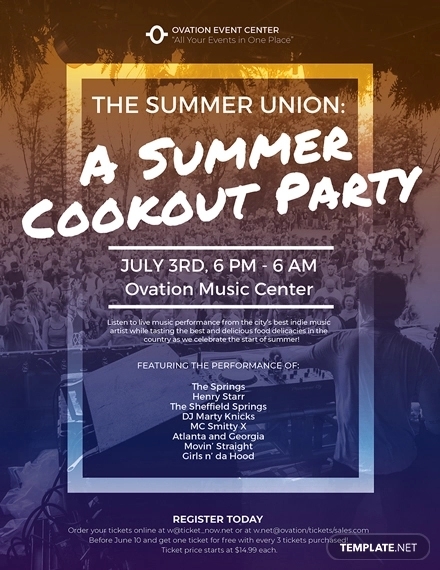 This flyer design can do exactly the same! 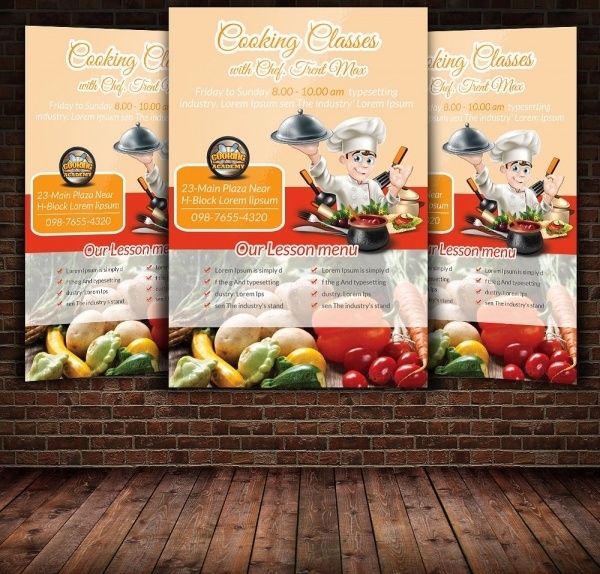 If you have been planning to advertise your restaurant across the neighborhood, visual materials in print is a good way to go. Use these A4 flyer design to spread the word. 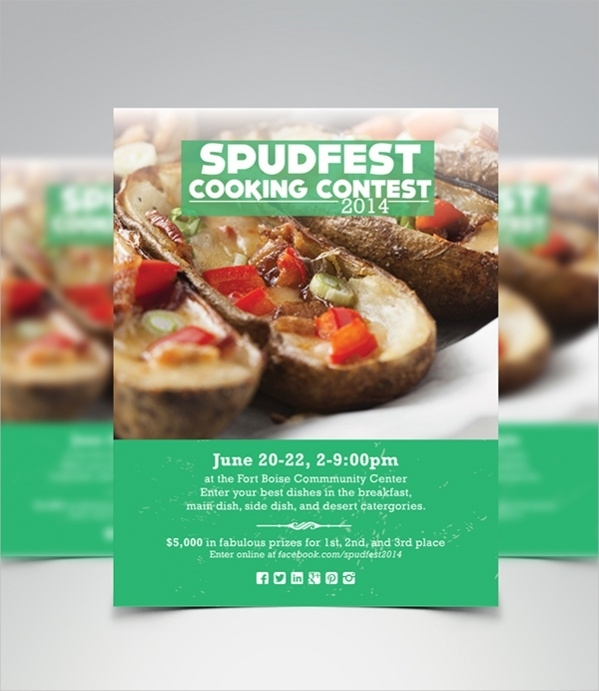 This cooking flyer design is for any business that is planning to beef up its advertising and raise brand awareness. The design is offered in high-resolution PSD and can be completely customized to represent your business. Planning to open a spicy menu for your restaurant? 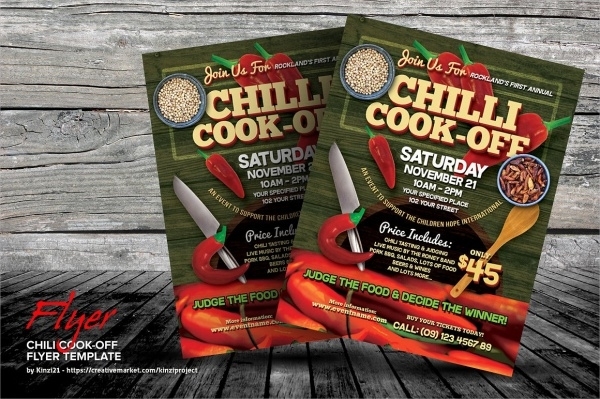 Use this chili cook off restaurant flyer design to get the maximum attention. This would surely bring in the crowds that love their meals to be hot and savory! Cooking has always been an art. If you are looking to hold a competition to find the best chef in the city, this design will be a great way to advertise the opportunity. The design is simple yet alluring. 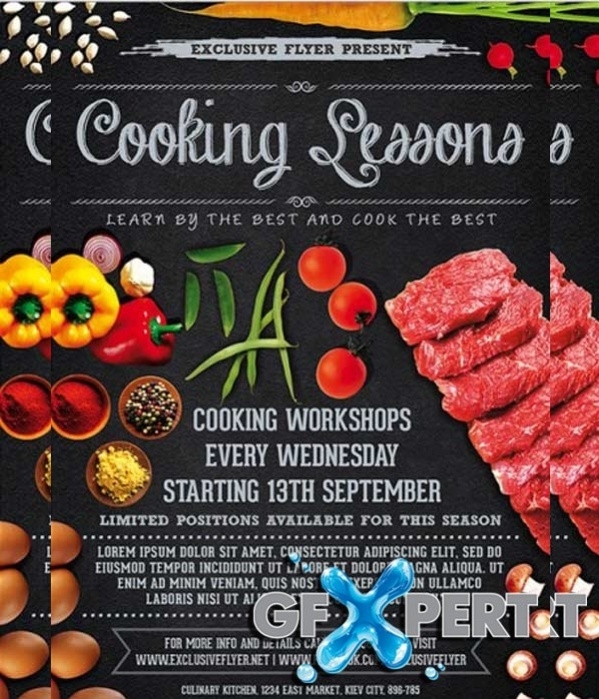 Have you been thinking to get a bigger audience and participation for your cooking classes? Well, we have something that might spread the word effectively. Use this flyer across your neighborhood! Food has always been an alluring aspect of our lives. 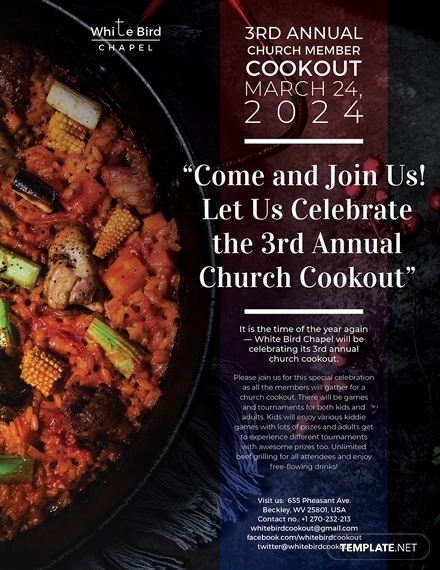 If you are in a cooking/restaurant business, use this opportunity to get the maximum attention and participation. 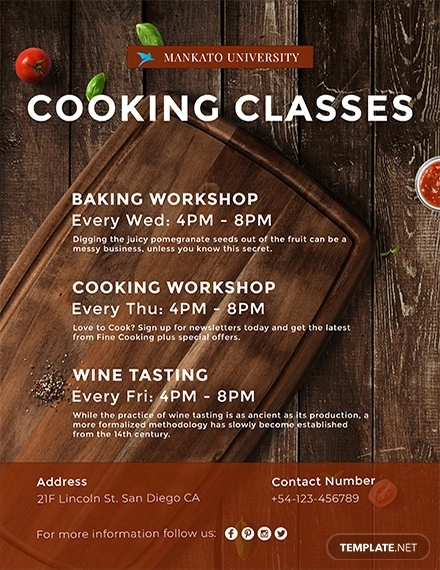 Cooking classes are getting very popular in residential neighborhoods and if you are engaged in a similar business, here’s a great way to announce the opportunity. 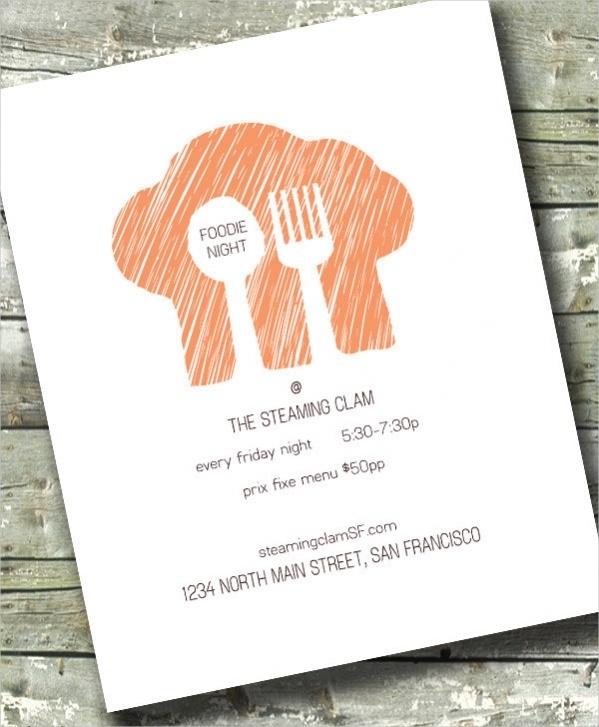 This flyer design is highly representative of any cooking or restaurant business. If you have been planning to host some special food night, here’s a perfect advertising material. 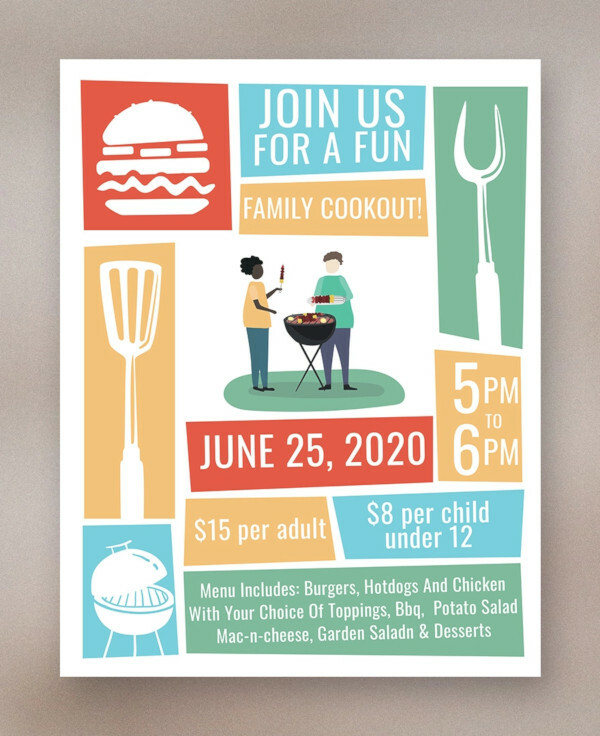 Hosting a cooking event but not sure about how to spread the news? 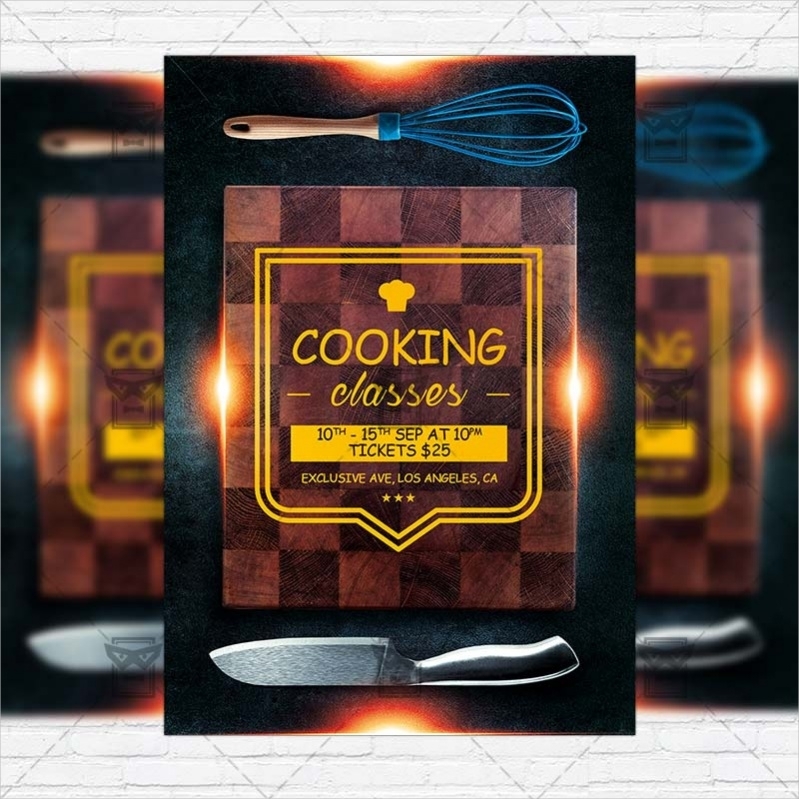 Use this amazing cooking event flyer template to gather mass attention! No one will miss the opportunity! Apart from being an art in itself, cooking has also been a great stress reliever. 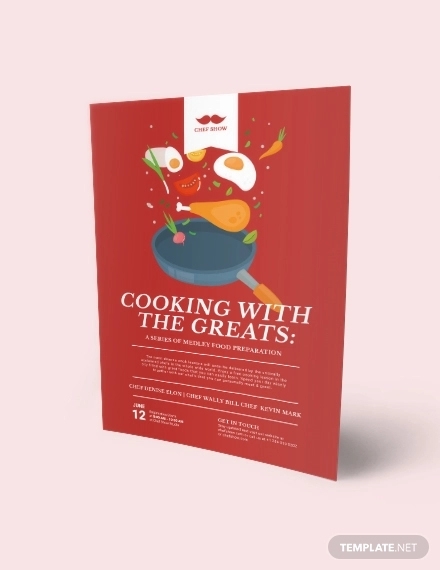 If you are hosting a free cooking event, let the world know what’s on offer with this beautiful Flyer Design. 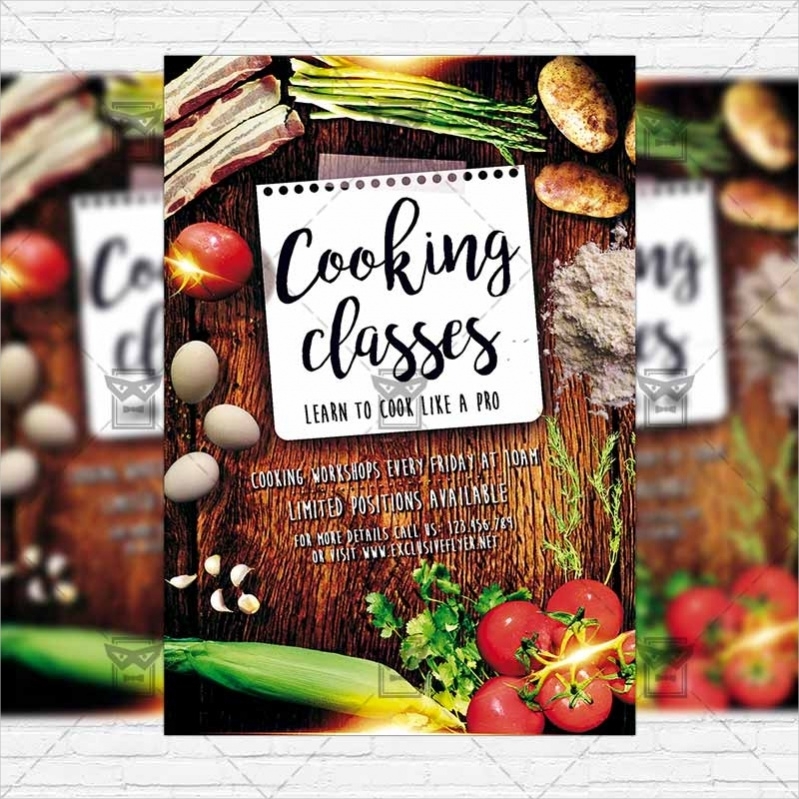 Another great looking flyer for any kind of cooking event, it is perfect to be used by any restaurant of the cooking establishment. 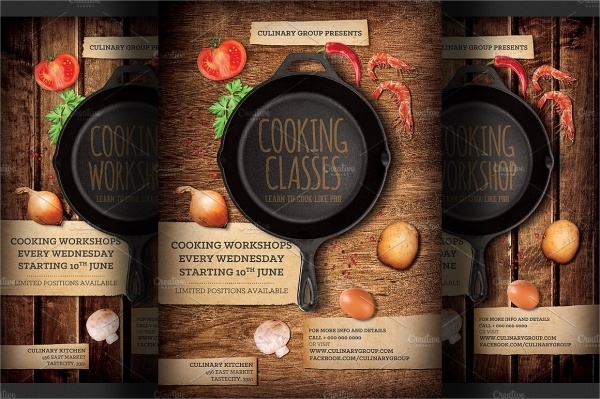 All above cooking flyer designs have been created by industry experts from across the globe. 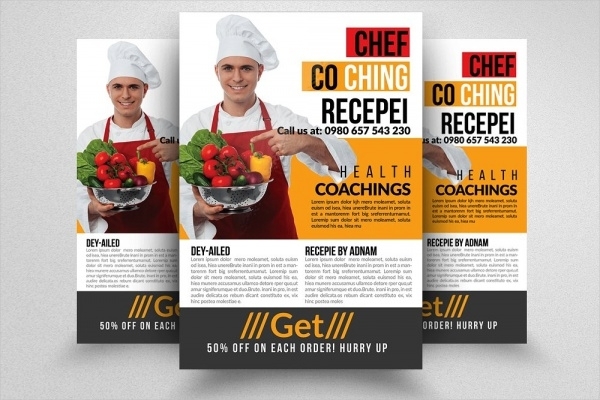 Whether you are looking for a fast food Flyer Design or a cooking class advertisement flyer, the above designs can be easily customized for your purpose. We wish you all the best for your future endeavors.